The eighth in the series deconstructing the HERO Outcomes Guidelines, covering Page 14. The full series can be found here. 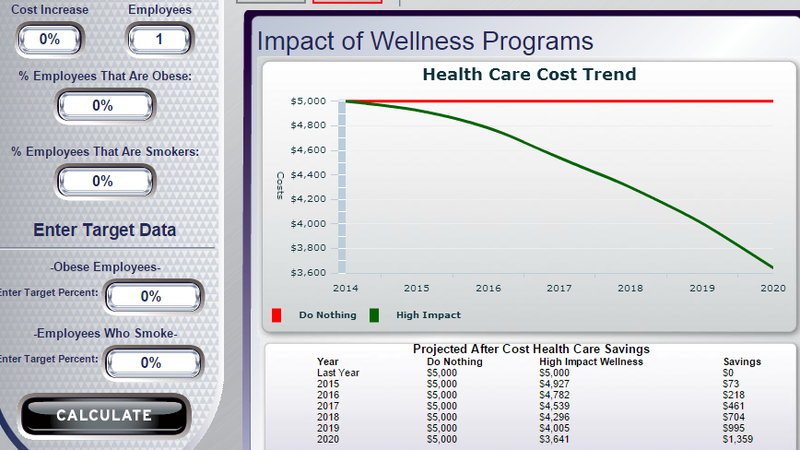 This installment in particular should be read in conjunction with installment #4 This Grand Finale will be presented in 3 parts…with a downloadable tool to help you calculated your wellness program savings as part 3. In the stock market, no one is as valuable as the person who’s always right, except the person who’s always wrong. Therefore, until now we have greatly appreciated the opportunity HERO’s report has created for us to explain how to measure outcomes correctly. So imagine our disappointment when one of their methodologies, the sixth of the seven listed, turned out to actually be valid. No surprise — this is the methodology I invented. Also no surprise given the industry’s standards for integrity, they didn’t acknowledge that particular factoid anywhere in their 88 pages. (And yet they accuse us of being impolite.) Here is the screen shot. The philosophy of #6 is quite straightforward. If you were introducing a flu vaccine program, you’d measure the reduction in number of people who got the flu. If you offered a new program for conservative treatment of meniscal tears, you’d measure the reduction in the number of people who had meniscal surgery. That’s the way experimentation works. You hypothesize an outcome that the intervention should create…and then you measure that outcome to see if the experiment worked. Except, of course, in population health, where any improvement in anything (cost, trend, utilzation) gets attributed to any wellness program that happened to be in place. The masters of this would be Mercer. Mercer once “found” massive, mathematically impossible, savings for North Carolina Medicaid’s medical home in a cohort that, as luck would have it, wasn’t even eligible for the medical home. And one wellness industry stalwart, Larry Chapman, says the simple act of completing a health risk assessment can reduce total healthcare spending by 50%, even when the information in the HRA is wrong, as is often the case. And did you ever notice that when a company switches to a high-deductible health plan and adds some needle-poking, they attribute the reduction in spending to the needle-poking, not the fact that everyone in their company suddenly gets socked with a bigger annual deductible? 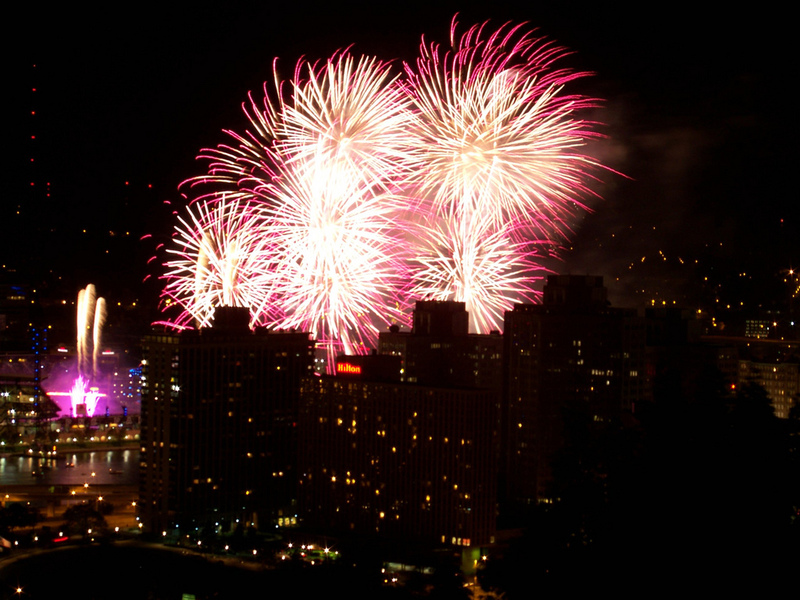 Enter wellness-sensitive medical event rates (WSMEs). This is the only methodology that tallies hospitalizations for conditions targeted by a wellness program – statistically avoided heart attacks etc. This is the only one of the seven HERO methodologies that would be acceptable to legitimate researchers. Hence, its use both in Health Affairs and by the GE-Intel Validation Institute. The former is the most respected health policy publication and the latter is the most (the only) respected outcomes evaluation organization. Further evidence of its validity is that there is no mention of it in the leading wellness promotional publication, the American Journal of Health Promotion, perhaps because – as HERO has attested – it doesn’t show savings. Even though it isn’t attributed to me in the HERO guidebook, I invented this methodology in 2007. This is incontrovertible. No one else had anything remotely close to it. Unlike the automobile, TV, the computer, etc., this was not one of a series of incremental improvements to or the amalgamation of existing technologies. And none of the other invention clichés apply either. The Chinese didn’t invent it in 1000 BC. Leonardo DaVinci didn’t sketch it in 1541. The Germans and the Allies weren’t racing to develop it at the end of World War II. By contrast, I’ve been presenting on it and using it for validation since then (meaning 2007). It figured prominently in Why Nobody Believes the Numbers too, before being highlighted in Health Affairs and the Validation Institute. For a modest fee, the detailed how-to can be downloaded from our website, though a Reader’s Digest version appears below. While a number of employers and health plans use it now, several health plans – more than coincidentally three of the highest-rated in the country (Harvard Pilgrim, Blue Cross of Massachusetts, and Providence Health Plans) – have been measuring hospitalizations for conditions targeted by wellness/DM programs since the methodology’s inception. The wellness industry has had a love-hate flip-flopping relationship with WSME measurement. First, until 2013, the entire Wellness Ignorati, quite in character, ignored this methodology, which is a powerful testament to its validity. Then, in 2013, that strategy took a body blow: the exact methodology was used in Health Affairs. You may recall the same thing happened with another epiphany of ours — the expose of the invalid Koop Award-winning Health Fitness Corporation fabricated results. The Wellness Ignorati completely ignored our whistle-blowing expose until it appeared in Health Affairs, when they were forced to admit we were right and the whole thing was made up, or to use Ron Goetzel’s phrase in the passive voice, “was unfortunately mislabeled” for four years. He may have just forgotten in December that he reviewed them in September. But in March he and his colleagues re-remembered wellness-sensitive event rates, and put them right in the HERO report, for which we are immensely grateful. Hopefully they won’t re-forget in June. (Their memory appears to be correspond with the change of seasons.) Hopefully instead, to paraphrase the immortal words of the great philosopher George Gershwin, our methodology is here to stay. How do I feel about HERO rewriting history so that I am no longer the inventor of this methodology? Honestly, having firmly staked out a niche in the small but growing “integrity segment” of the wellness industry, I prefer them staying out of that niche as long as possible. So I’m glad they show no interest in facts. In part two, which we will post in a few days, we will explain how we do WSME plausibility testing and why it’s the essential method for assessing the impact of your wellness and disease management efforts. We recommend that everyone listen to Dan Ariely’s interview on NPR and TED talk “Why We Lie.” It explains exactly why the Wellness Ignorati could decide to collectively self-publish an entire guidebook full of misinformation and disinformation designed specifically to increase the revenues of wellness vendors. Here are our take-aways from Professor Ariely’s TED Talk. Like Walter White in Breaking Bad, the Ignorati started out honest. They genuinely believed that wellness saved money and that they were doing good. It was very counter-intuitive to believe otherwise. If you look at page 201 of Why Nobody Believes the Numbers, you’ll see I even mildly supported biometric screens. I hadn’t done the math. I just assumed early detection was a good thing and that Ron Goetzel and others was telling the truth, for which on page 83 I professed my admiration. As another example, ShapeUp’s CEO Rajiv Kumar would never have attacked us (largely for refusing to believe Kate Baicker, who even RAND now dismisses and who herself no longer appears to believe her own claim) if he had realized his own outcomes claims were false. Like Walter White, it was easy to justify the first transgressions. Since the Wellness Ignorati genuinely believed in what they were doing, when the numbers didn’t add up, they either justified to themselves that it was OK to fudge them (like ShapeUp’s now-retracted claims about Highmark) or ignored glaring invalidating mistakes. The best example of the latter: Ron Goetzel finally recanting Health Fitness Corporation’s infamous participants-vs-non-participants self-immolation after years of ignoring it. Or wellness vendors create a parallel universe where numbers don’t have to add up (like Keas), or completely misquote industry experts saying the opposite (like Vitality). Like Walter White, they don’t actually believe they are bad people. Ariely calls this a “personal fudge factor.” With the possible exception of Wellsteps’ Steve Aldana (who may be honest but simply unable to recognize that no matter what numbers you enter into his model you get the same answer), they really think what they are doing is OK—even though the math clearly dictates otherwise. Also like Walter White, they kept getting drawn deeper in. The more they lied, the more they have to keep lying. They needed to continue to defend what was looking increasingly indefensible. After giving Nebraska’s program a much-publicized and ironically named C. Everett Koop Award, it’s hard for Ron Goetzel and his committee to say “We goofed—we need to take it back because they made up the data and defrauded the state” even after the vendor, Health Fitness Corporation, admitted it. Avoiding the media is an excellent strategy. Once again, like Walter White, the Wellness Ignorati want to keep a low profile. Exposure is bad if the facts all go the other way. That explains Ron Goetzel’s refusal to debate, ever, and the Ignorati’s characterization of us as name-calling bullies when all we do is ask questions. Yep, you can read this site up, down and sideways. The fact is no names are called other than the “Wellness Ignorati.” We’ve offered them the opportunity to propose a different name for their practice of denying facts, which they’ve declined. 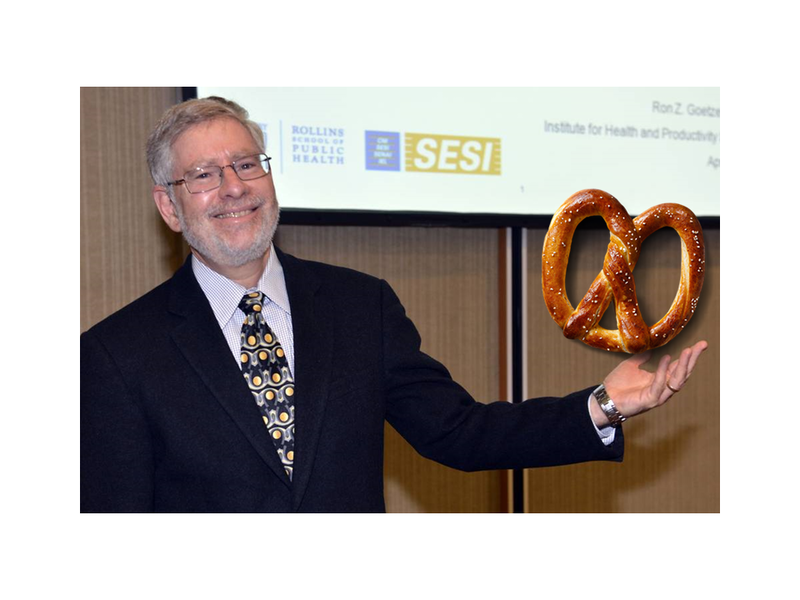 We do use the term “pretzel” to describe the very impressive twists and turns that Mr. Goetzel uses to wriggle out when he’s been caught calling failed or fraudulent programs “best practies” because they are run by friends, sponsors or clients. The alternative word for what one would be called when all your claims are made up is less flattering, and we’ve never used it with respect to Ron. This explains why the Ignorati steadfastly refused to answer questions for a $1000 honorarium. Once again, like Walter White, they have so much as stake that $1000 is chicken feed. At Enron, if you questioned Ken Lay at an analyst conference, he would accuse you or not understanding their business, and cut you off from future meetings, rather than answer the question. We of course were not invited to participate in or even listen to the “discussion” about the HERO report. Like Walter White, at some point the Wellness Ignorati needed to commit to their chosen path. 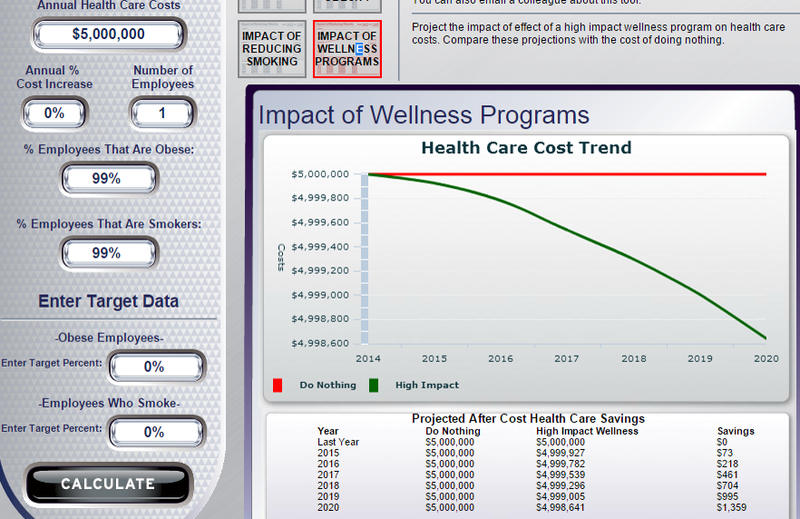 The Wellness Ignorati have gone too far in their insistence that wellness saves money. There is no turning back. The existence of this site makes turning back even harder because retracting their lies means acknowledging them. And as soon as they do that, we do what we do best other than invalidate the Ignorati’s misstatements, which is: gloat. Like Walter White, they are now doubling down. Examples: Ron Goetzel calling Nebraska a best practice after they admitted lying about saving the lives of cancer victims, in order to justify his original award to them. 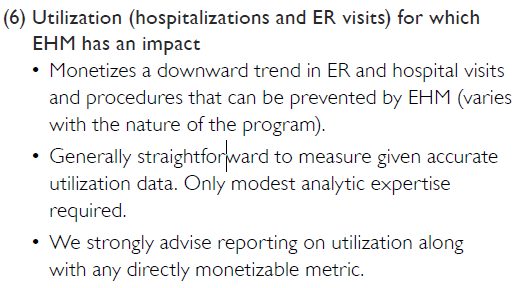 Steve Aldana can’t create a real ROI model now without admitting that his original model was not “based on every ROI study ever published” as he has maintained, but rather always yields a savings of $1359/employee no matter what inflation-adjusted figures you enter. So thank you to Dan Ariely. In one 8-minute TED talk, he explained the entire alternative crowdsourced reality of the Wellness Ignorati – without once even mentioning them by name. But I’m sure the Ignorati nonetheless think he bullied them. 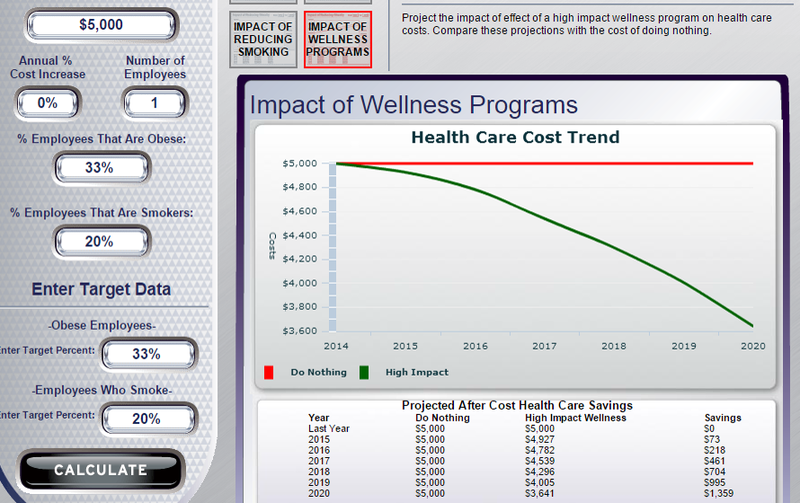 As a hot-off-the-presses example of what Professor Ariely is talking about, Wellsteps just updated their model so that now instead of saving $1359 per person in 2019, they save $1359 per person in 2020. As with previous iterations of their model, the success of the wellness program is irrelevant to the outcome of the model. Just enter a 0% inflation rate and “1” for covered people (“1” so you can see the $1359 reveal itself without having to do division) — and then whatever figures you want to enter for spending, obesity and smoking. Naturally, Wellsteps is prominent both on the Koop Award Committee and the HERO Report Committee. Wellsteps’ “back story” is here.